While most of my readers aren't bloggers, some are. Bloggers from all over the world know of the Liebster Awards, which is an award given to bloggers by bloggers and recognizing all of their hard work. A while back, I got nominated by Kyah at www.weekendtempo.com. Accepting it allows me to build relationships with other bloggers as well as give new blogs the recognition they deserve. With that being said, thank you Kyah! 4. Answer the 10 questions the person who nominated you asked, then make 10 more for the people you nominate. So before I answer my questions, I'll share my nominations and questions for the nominees (should they choose to accept). Name 3 beauty products that you could not live without. Name your favorite childhood memory. The thing that motivates me to blog is the fact that I love it. Although it can get stressful with school and my job at the student newspaper, it's the best feeling ever knowing you're making people smile with your posts. What are your aims and hopes for your blog? My goals for my blog is to reach as many people as possible and inspire them to start something that they will truly love. Do you enjoy reading blogs as much as you enjoy writing blogs? Yes! I love reading blogs! Whenever I'm bored (or not paying attention in class...ooops!) I read as many blog posts as I can before my eyes start to hurt! Name 3 of your fave blogs. Zoella (Honestly, who doesn't love reading her blogs), Aspen Ovard, and Permanent Procrastination. I'm based in Texas, USA! What's your fave aspect about your home? My favorite thing about my home is probably my bed. That sounds funny, but it's so comfy. I just love it! What's the perfect night consist of for you? My perfect night consists of tea, a nice movie, and my boyfriend all snuggled up in our favorite blanket. There are so many ways that I relax but my favorite is Lush bath bomb/bubble bar baths. I turn on my Spotify and lay in there for hours. Which social network do you love the most? My favorite social network would probably have to be Instagram! I don't post too often (like once a week) but I love seeing everyones pictures! I also follow a lot of bloggers on there so it informs me when they post new blogs. My guiltiest pleasure would have to be my stuffed animals. I literally have so many of them, plus I always want to buy more. Stuffed animals. Yup, that's my guilty pleasure! Thanks again, Kyah! Please check out my nominations! Happy Hump Day! Great answers, loved reading them! Hey, thank you so much for the nomination! I knew you nominated me a loong time ago haha, but somehow forgot to ever reply! 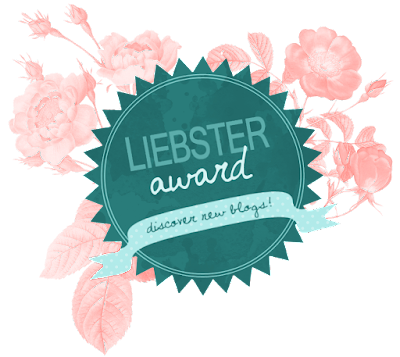 Now -after the whole Christmas thing - I finally have time to work on my Liebster Award post! I love your blog as well, it's such a shame I haven't been visiting you earlier!